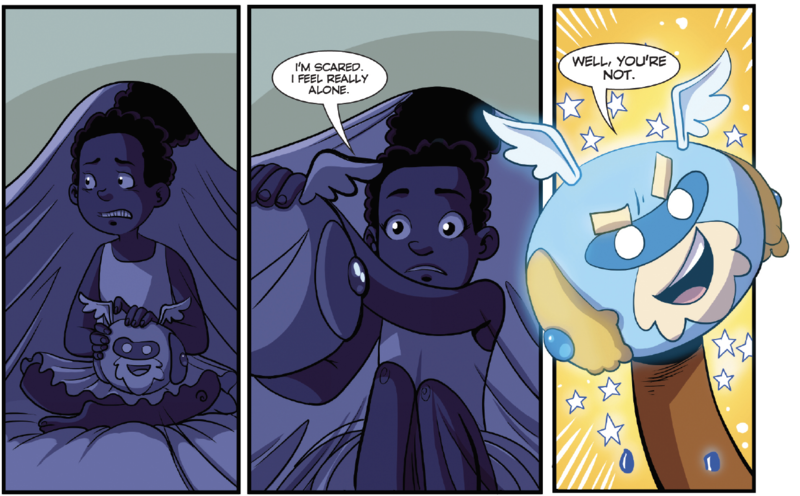 Amazingly talented artist Courtney Huddleston talks about the first installment in his newest middle grade graphic novel series – Audrey’s Magic Nine: The Pencil and the Fuzzy, Book One. Courtney Huddleston had an idea about a little girl who could bring puppets to life and ran with it. 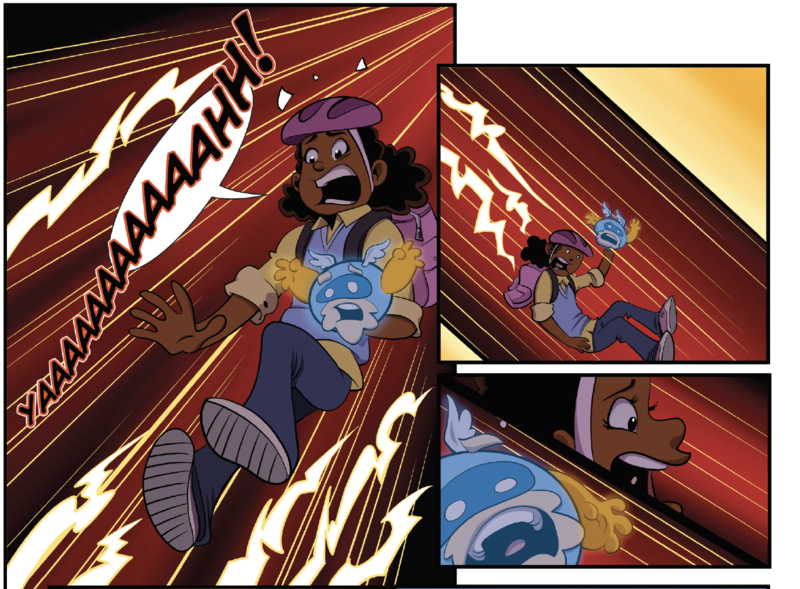 We sat down and picked his brain on where this original idea came from and how he feels about the immense buzz that has surrounded Audrey’s Magic Nine, the latest middle grade graphic novel series from PENNY FARTHING PRODUCTIONS. 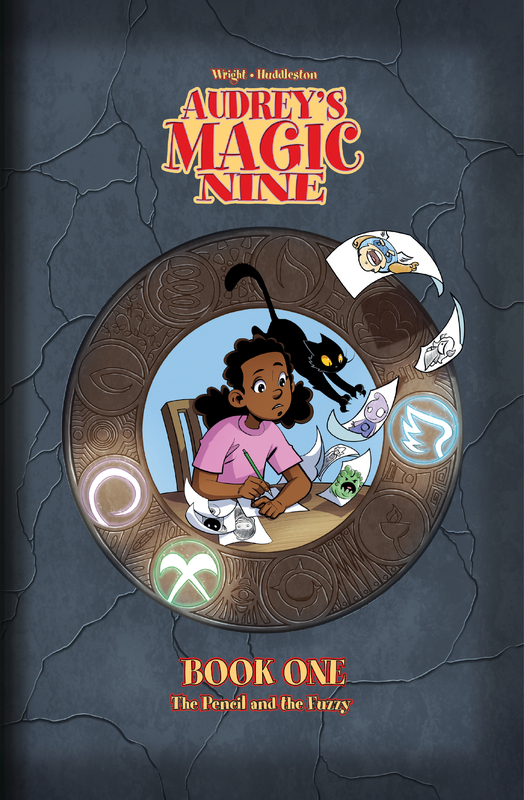 Audrey’s Magic Nine is now available for purchase through Brodart, Follett, Bookazine, Amazon, our website and more. So tell us a little bit more about you, when did you first start drawing? I started drawing in 3rd grade. Before then I just doodled and scribbled a lot. But in 3rd grade I was at my grandmother’s house looking through a Walt Disney behind-the-scenes books, and it fascinated me to the point of drawing almost daily. I’ve always drawn, but I’ve been a professional artist for over 25 years. Did you have any formal experience when you started out as an artist? I learned to draw mainly through constant repetition. However, I did take high school art classes, and after I graduated I took life art and painting classes in college. Did you always have an interest in comics, if not, what drew you to them? I always had an interest in comics, though not drawing. I simply enjoyed reading them during my elementary and junior high years. It wasn’t until I was in high school that I became interested in drawing in the comics format. 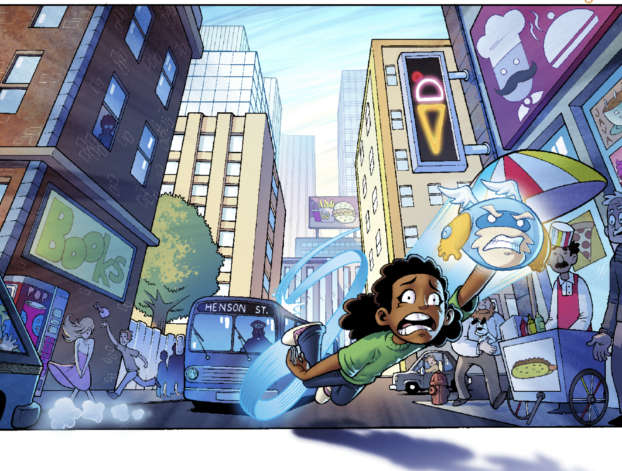 Can you explain how a graphic novel comes to life, so to speak – the basics of how to create/publish a graphic novel? Everything starts with the writer and the script. 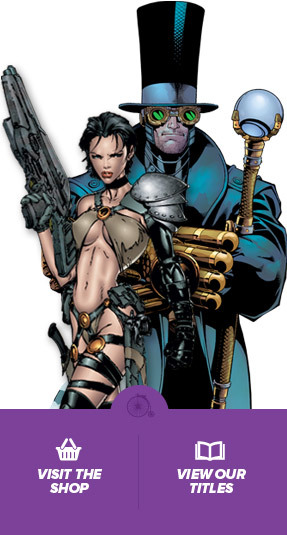 Once that’s approved, the penciller reads over the script, before he or she starts drawing. Many artists, including myself, create thumbnails for approval. Thumbnails are loosely sketched pages that show the camera angles, story pacing, and character placement. This gives the artist and the writer a chance to see if everything flows, before the artist starts drawing the actual page. Each completed pencil page then goes from the penciller to the inker. 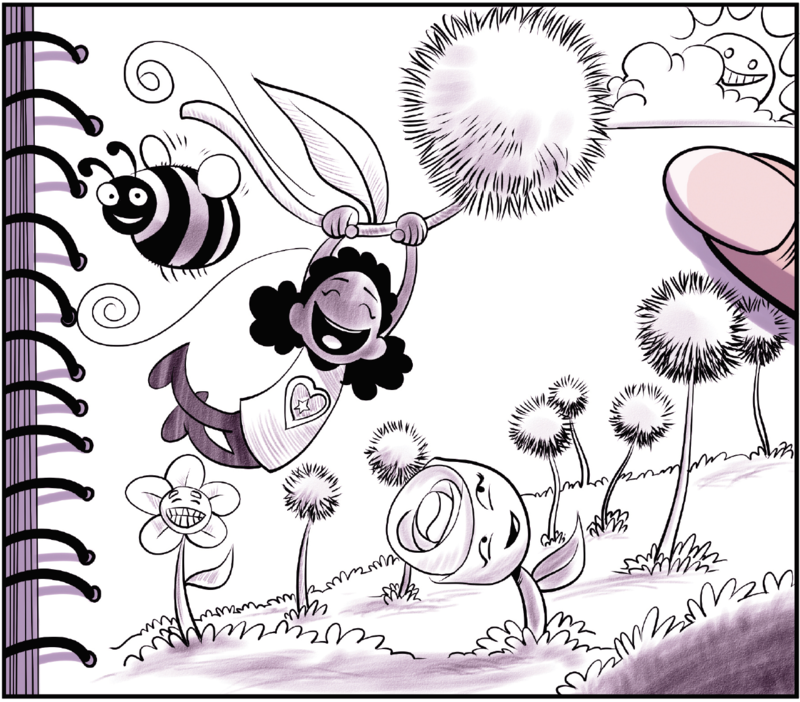 The inker is another type of artist that inks and embellishes the pencil work, and prepares it for the colorist. The colorist takes the inked pages, scans, and cleans them up—before coloring them to completions usually in Photoshop. Once the page of art is complete, it then goes to the letterer, who puts the word balloons on the pages, based on the provided script. This process is repeated for each page of the story, until the graphic novel is complete. Where did the idea for Audrey first originate? You have two daughters, did they also have a part in inspiring the idea of Audrey? Growing up, I was a big fan of Walt Disney, Jim Henson and Bill Waterson. I’ve always liked the idea of bringing inanimate objects to life, just like they did with Pinnochio, Calvin and Hobbes, and others. So I wanted to do my take. And that’s where Audrey comes in. The idea of the puppets coming to life was inspired by the names mentioned above. Yes actually, the protagonist of the story was inspired by both of my daughters. It’s about a young girl who accidentally discovers that she can bring puppets to life. And now she’s on a journey to find out why. What advice would you give to young artists who someday dream to see their art published? It may sound a bit cliche, but practice practice practice. I received over 500 rejection letters before I finally got my big break. And between each of those rejection letters, I practiced my craft. How do you deal with artist’ block? I usually stop what I’m doing and go try to do something completely different, that isn’t art related. Sometimes I just need to take my mind off of the art, and come back with a fresh perspective. Tell us a little bit more about working with Author Michelle Wright to bring your work to life. My work is no good at all without Michelle. Coming up with an idea is the easy part. Anyone can come up with an idea. Making the idea into a story that everyone can enjoy is the hard part. And, that’s where Michelle comes in. She has the unenviable job of making me look good. You’ve been with PFP since they started the company back in 1996, tell us about your over 20 year journey with this company. I was a 20 year old who got a very lucky break. PFP was looking for an artist to pencil their flagship title, before they even had an official brick and mortar address. There were several talented artists the company was looking at. The artist they had chosen was not willing to relocate from California, which left them searching for yet, another artist. My work was mixed in with the other submissions, and I think I was their 3rd choice. But Lady Luck was on my side as it turned out I lived less than 5 minutes away from the company owners. So in the case of being hired by PFP, I would say it was 50% talent, and 50% luck. Interestingly, I never even ended up working on the title I was hired for. I was given my own title, but assigned the task of finding a new artist for the flagship title. 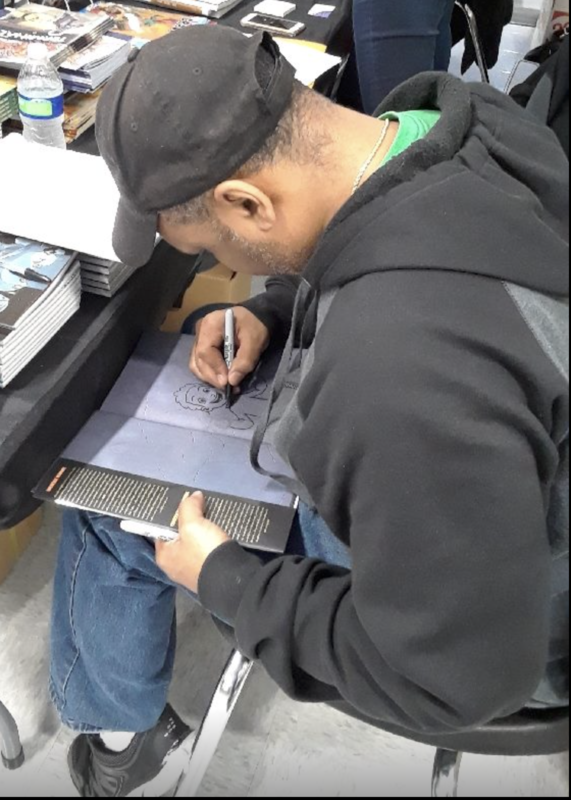 I was able to locate several artists, inkers, and colorists for the company to take into consideration. They were impressed by this, and eventually assigned me to assemble teams for their other titles. My job title eventually changed from artist to talent coordinator. My new duties encompassed putting teams together, negotiating prices, setting deadlines, and much more. But most importantly, I was still able to draw. And I’ve continued doing this for the last several years. Can you give us a little spoiler as to what to expect from book 2 of the Audrey’s Magic Nine Series coming out later this year? You can expect to see the puppets in action from start to finish. In the first book, readers only got a taste of what the puppets can do. But in book two, it’s puppet action from start to finish. Thanks for dropping by and chatting it up with us Courtney. 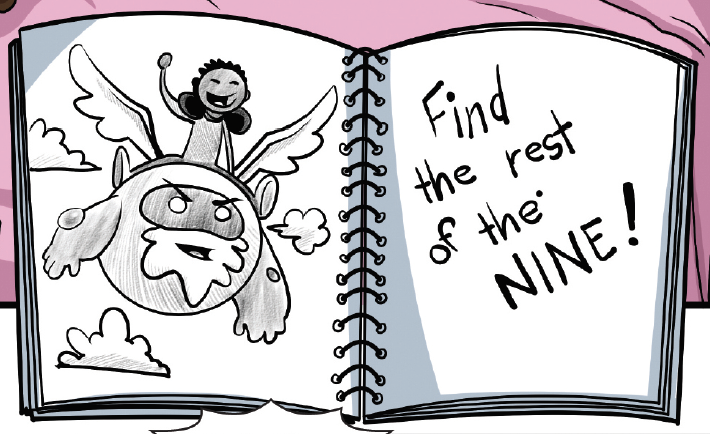 Everyone be on the look out for the next adventure in the series coming this Fall in October!